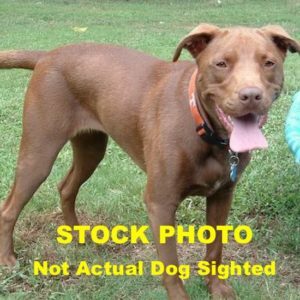 Additional Notes: FEMALE: Labrador Retriever/AmStaff mix (? ), adult, chocolate coat, wearing a collar with a purple tag, appears to have a cut on the pad. Sighted roaming on March 9/18.